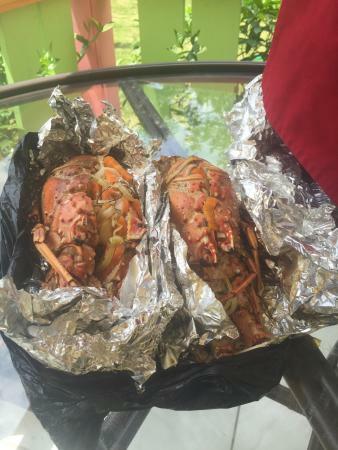 It would be a crime to go to Jamaica without having the best jerk in Negril. 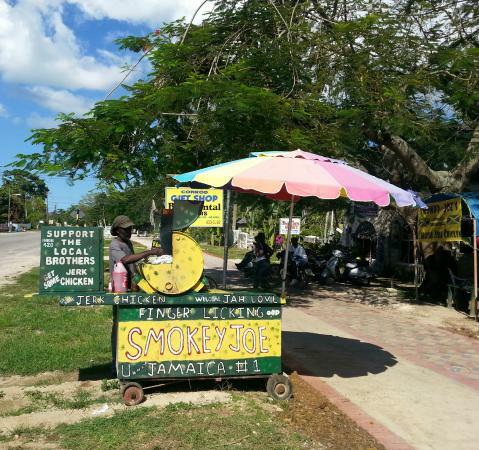 Smokey Joe has been cooking chicken on Norman Manley Blvd for over 20 years. The chicken is always just the right balance of spicy and sweet. Hot and ready. 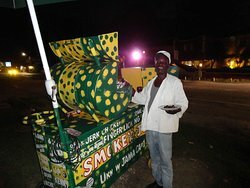 Unlike other chicken carts in Negril- Smokey Joe never changes locations so you can always find the BEST JERK CHICKEN IN NEGRIL!! Cook to order options & groups!!! Went there 4 out the 5 days I was there! So that says something right there, the sauce is soooo goood!! Cheap prices! This guy has been in this location for a really long time. 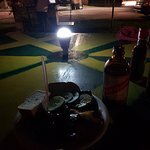 We often stay at Grand Pineapple so he gets to reap the benefits of our drinking a lot of Red Stripe late at night. 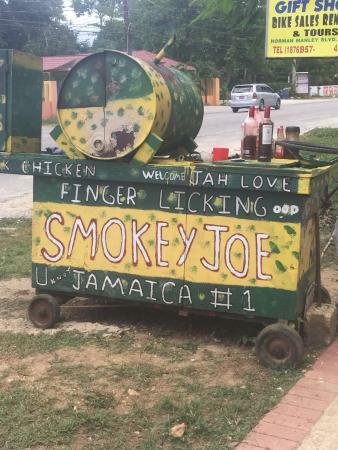 Gotta try his chicken! Take a very close look before consuming! This is a hole in the wall place with wonderful food. 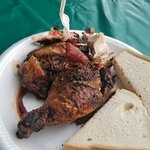 Best Jeck Chicken I've every had. Service was terrific too! Wow, Joe really has it down! 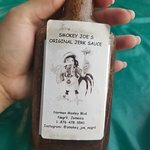 The jerk sauce is really delicious, sweat, not too spicy. We really enjoyed the experience and Joe is great to chat to. 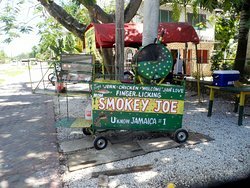 We stayed at the Grand Pineapple resort and ate at Smojey Joe's right when we got there. 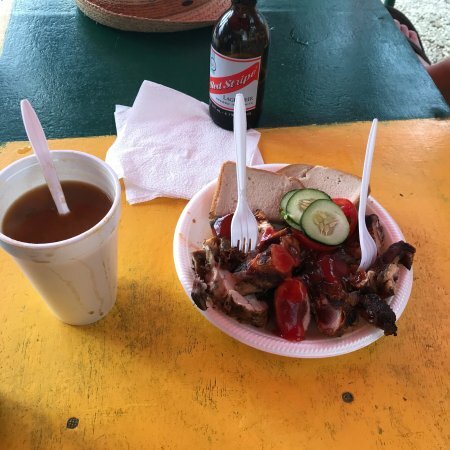 It was the best jerk chicken I had the entire time I was there! He was a great guy and the food was delicious. A must try. 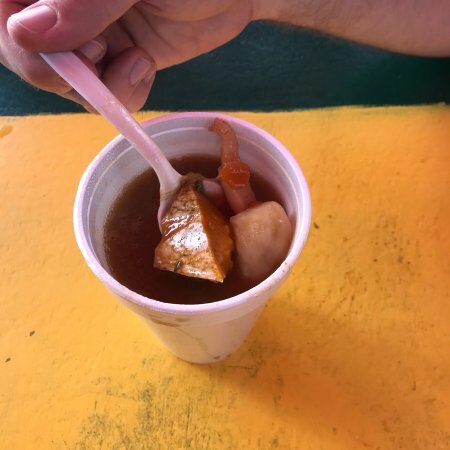 Get quick answers from Smokey Joes staff and past visitors.